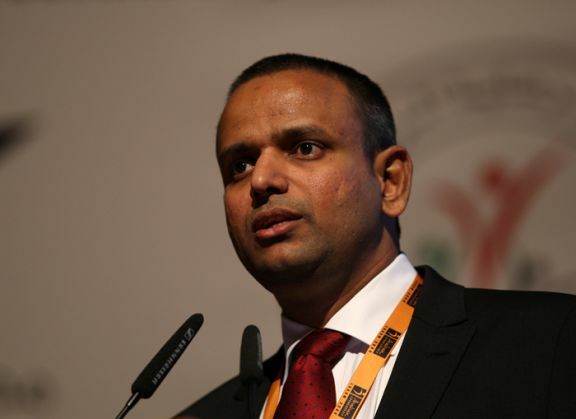 Indian Premier League Chief Operating Officer (COO) Sundar Raman has resigned from his position, putting an end to the intense speculation over his future in the wake of the change of regime in the BCCI. In an effort to clean up the system, the BCCI has promptly accepted Raman's resignation. It has been learnt that he had been asked by BCCI President Shashank Manohar to put in his papers by October 31. There was still no official word from the BCCI nor any press release on Raman's resignation. "Yes, Sundar Raman has resigned. I can confirm that," BCCI Chief Administrative Officer (CAO) told PTI today. Acccording to a top source, Raman met BCCI president Shashank Manohar in Nagpur yesterday and submitted his resignation. Soon after taking charge of his second stint, Manohar had expressed his displeasure over the BCCI's decision to retain Raman after his name cropped up in the 2013 IPL spot- fixing scandal. Raman faced a lot of flak following the outbreak of 2013 IPL spot-fixing scandal involving former Board President N Srinivasan's son-in-law Gurunath Meiyappan and Rajasthan Royals' then co-owner Raj Kundra. Despite all the controversies, Raman managed to sail through for two years. In December last year when the Supreme Court made certain parts of the Mudgal Committee report public, Raman was decreed to have been 'in touch with a contact of a bookmaker eight times during the last IPL season'. The Mudgal Committee in its report had observed that Raman's role should be further investigated.